These two could have just walked out of a movie scene. These are some of the most romantic photos and we are smitten! 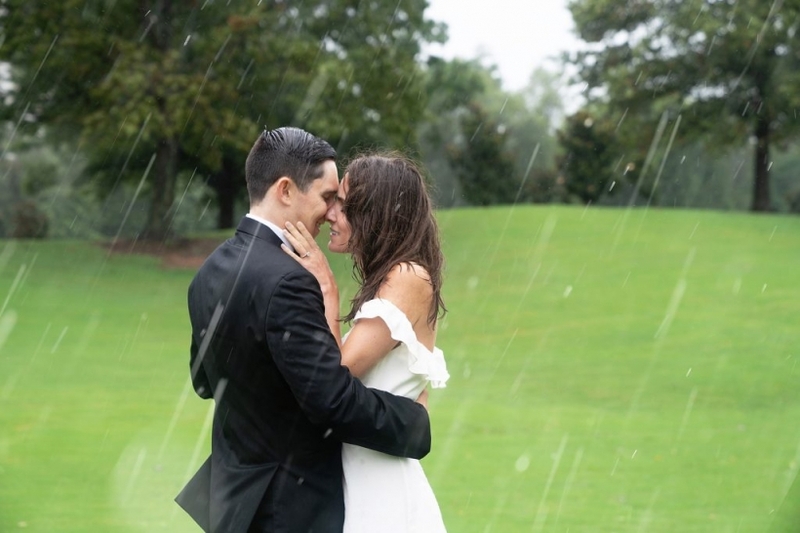 “Exactly one year ago on Saturday, September 15th Carter Loetz and Esther Walsh (former New Yorkers who moved south for “the weather”) got engaged and began planning their Charleston wedding; until it was canceled in an instant as hurricane Florence barrels towards the Carolinas. However, hurricane Florence didn’t stop Loetz and Walsh from celebrating what would have been their wedding day. 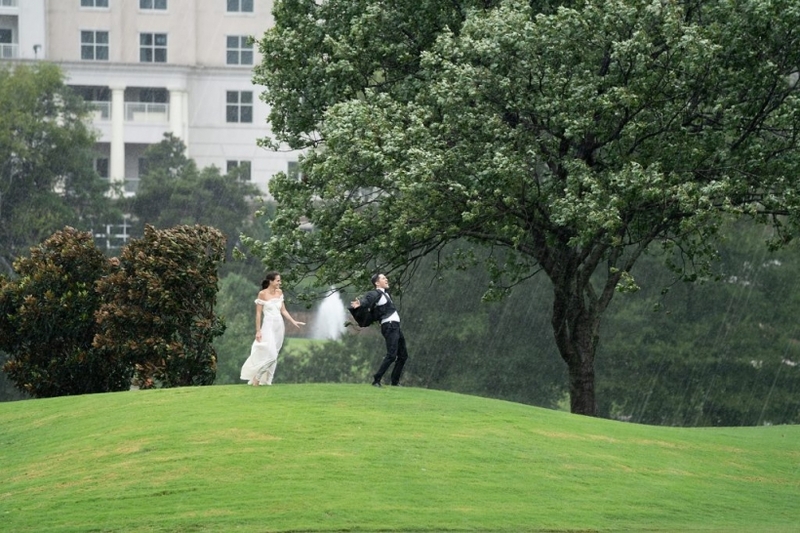 The couple dressed up and celebrated locally in Charlotte with a photo shoot in the rain and party with friends. Woohoo! Our epic photos were featured live on Good Morning America! How sweet is that!